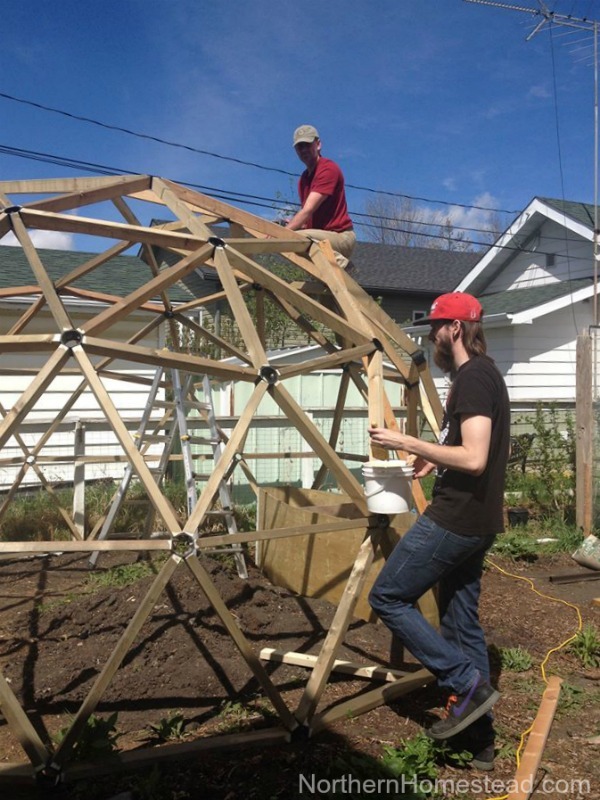 We built our second geodesic dome slightly different than our first one several years ago. 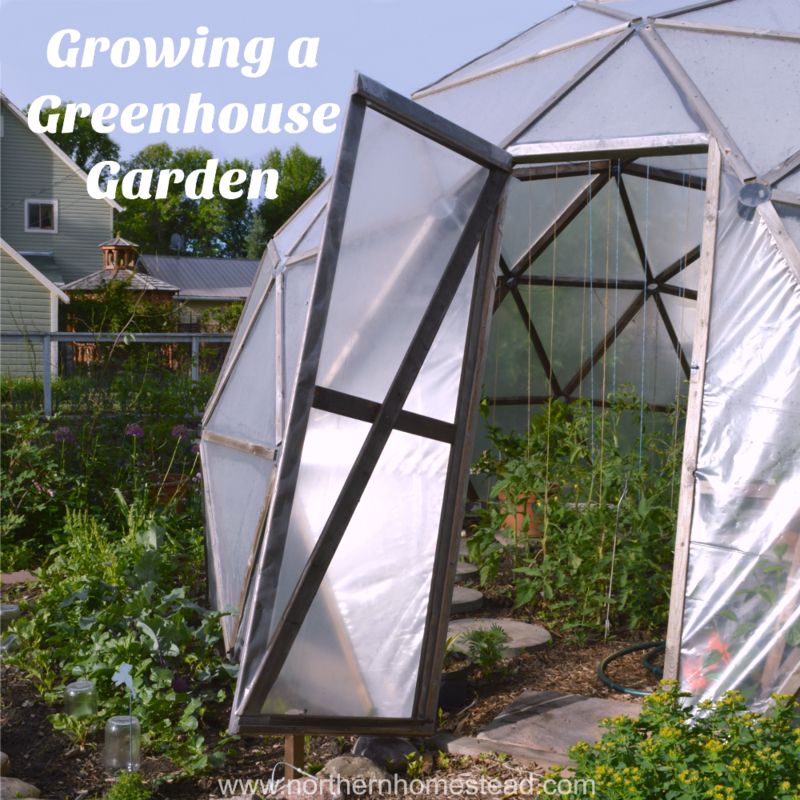 Here we share the how to build a geodesic dome greenhouse version 2. You can read all about how to build version 1 here. We have been asked many times to share how we built the second dome. So here you go. The couple reasons besides me looking for a new challenge were here at play. 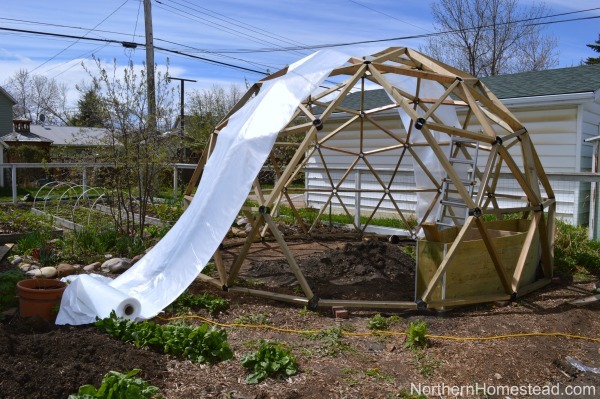 Firstly, the cone joint used in the first dome was not suitable for heavy snow load, and some users have had their geodesic domes collapsed under the snow load. 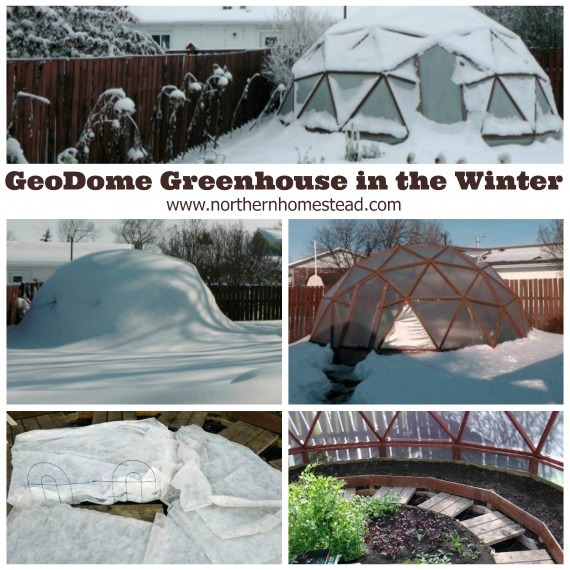 We still think that it is a great way to build a GeoDome, but maybe not in areas with heavy snow. Secondly, this version does not require complicated cuts for the joint. 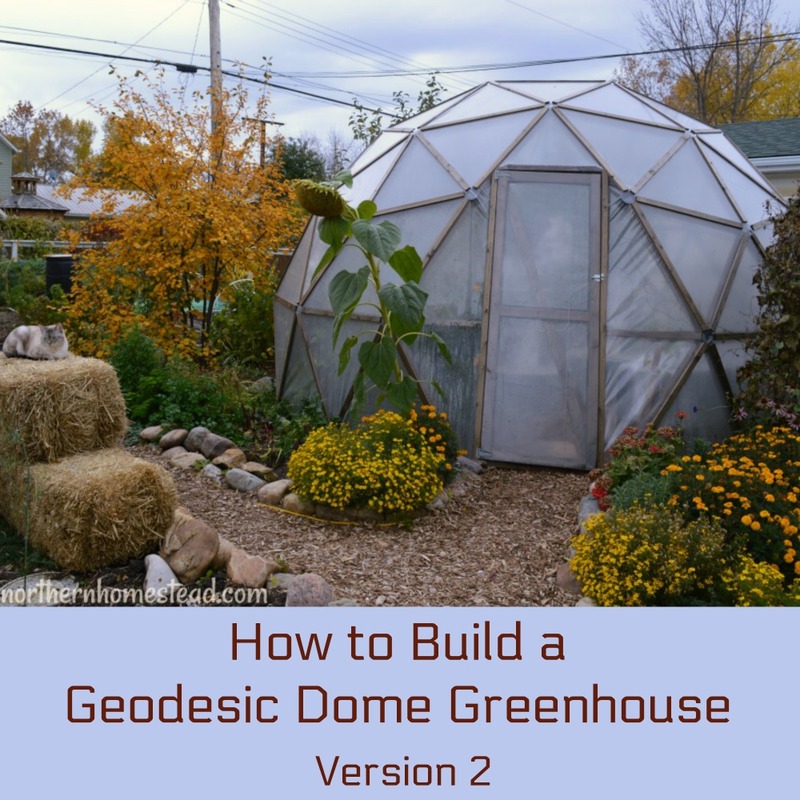 I wanted to find a simpler way to build a geodesic dome greenhouse since I could see how many of our readers, who tried to replicate our first dome, struggled with the plans. Yes, this improved version of piped hubs is significantly stronger which is the critical piece in the whole structure. I’m actually working on version 3, that we will offer as a kit to make it super easy for anyone who is not confident in working with power tools. So if you are like me a DIY person, these two versions are great, if not stay tuned for version 3. Version 1 has the advantage that it is all wood, and has a nice appearance. One disadvantage is that you will need a radial arm saw and some advanced woodworking skills, the other is the relative weak cone joint that poses a point of failure. At the time of designing the first dome I was not aware of the different stresses the joint is being subjected to, but with the newly acquired knowledge I’d only recommend it in areas with a maximum snow load of 5″ at a time. Of course, it’s always possible to reduce the danger of collapsing of the dome by clearing off the snow. 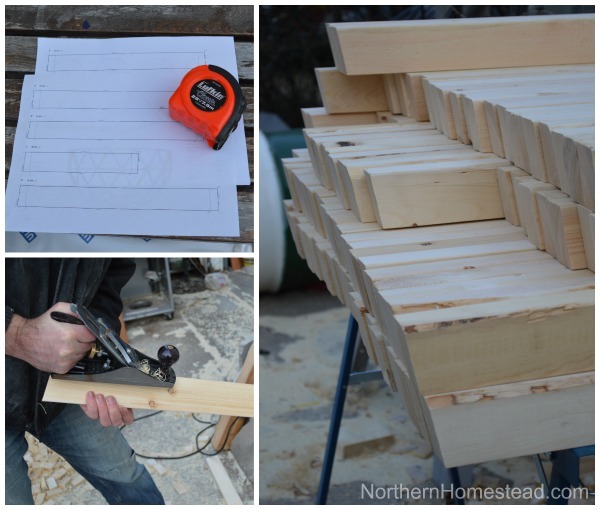 Version 2 has the advantages that it is an easier woodworking project, much higher strength of the joint, and for some people may be appealing its distinct appearance. 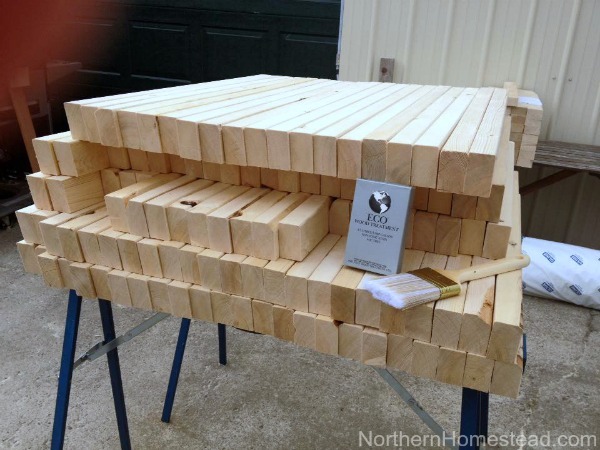 – 2×4 Lumber. We used untreated spruce lumber and stained it before assembling. 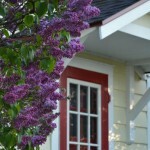 You could also use Douglas Fir for its structural strength. – Covering. 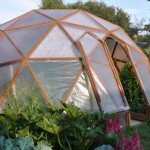 You can use greenhouse film, shrink film, or polycarbonate panels. We use the Acidome calculator, read more on how to use it in our first post. We encourage you to read the post and all the comments, chances are your questions have already been answered there. This time our dome’s size is 15 feet in diameter at the bottom and its frequency is 3V. 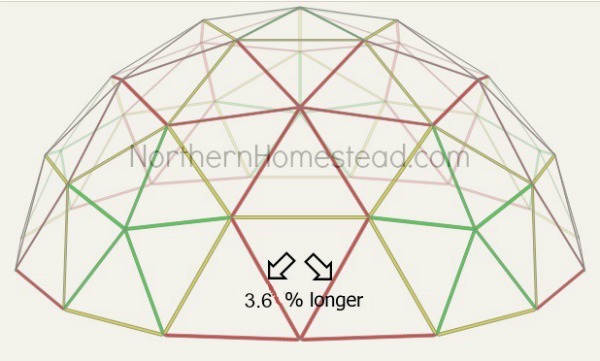 The base of the dome is by default not perfectly aligned or level, you could either check off the box “Align the base” in the calculator, or as shown in the picture below cut those red struts 3.6% longer. 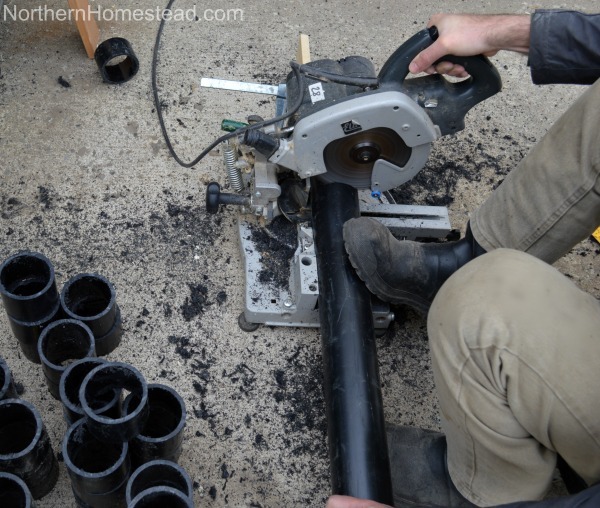 The hubs were made out of 3″ black ABS pipe that is usually being used for drainage and venting. 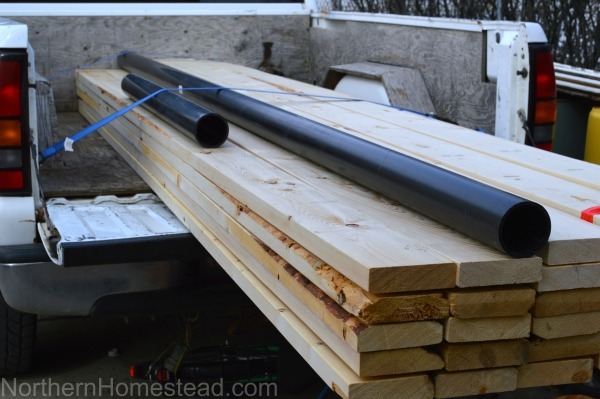 I cut the pipe into 3.5″ long pieces which equals the depth of the struts. You would cut your hubs according to the depth of your struts. On the Acidome calculator near the end of the page, you will find the diagram of the piped hubs(vertices). The lines crossing the circle indicate the location of the drilled hole in the hub. I spaced and drilled the holes on my hubs according to the drawing but for the sake of convenience, you could space the holes on the hub#1 equally at 60° as it’s shown for the hub#2. 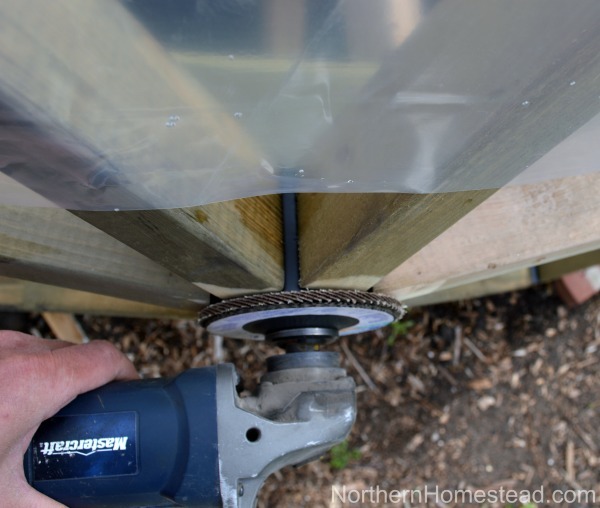 I used press drill to the holes and a knife to deburr the edges so it would not damage the greenhouse plastic. In the picture below you see me using lag bolts to attach the struts to the hubs, however, I’d recommend using structural screws, that you don’t need to have predrilled pilot holes. Because most of the struts are subjected to compressive force, so the screw’s main function is to hold it in place. 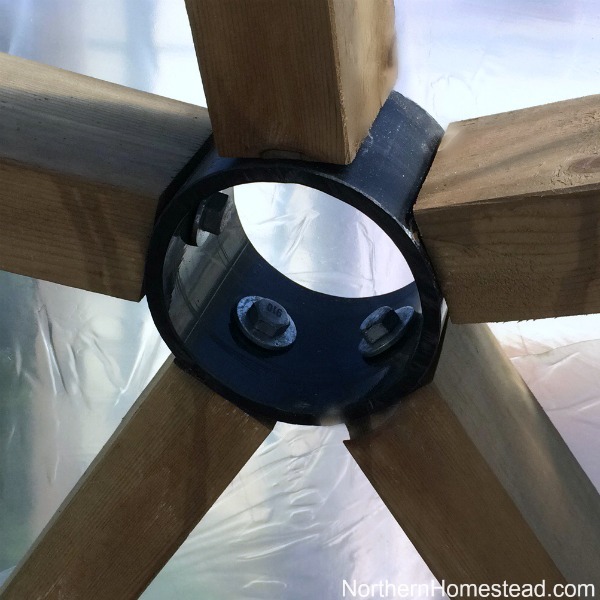 Only the struts in the foundation ring and each ring in the next tier are subjected to a tensile force and because of that you should be using longer screws. The side view of the struts shows the angled miter cut. The values for the angle for the different struts can be found on the Acidome calculator page. I also chamfered any sharp edges of the struts with a plane. Instead of purchasing treated lumber with questionable chemicals we choose to treat the lumber ourselves with an Eco wood treatment. 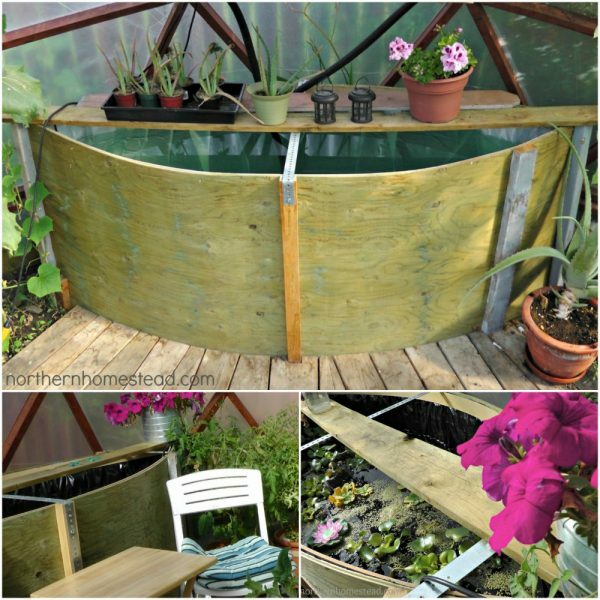 First I assembled the foundation ring, but before continuing with the dome greenhouse I dug out and built the water tank. Read more about the water tank here. 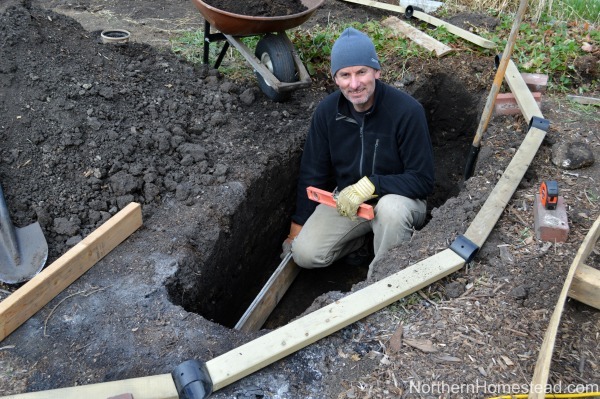 After completing the water tank I continued with connecting struts to the foundation ring creating triangles, connecting the tops of those triangles which completes the second perimeter. Once all the parts are prepared the assembling itself is just fun. With some help from our son, we had it done in about half a day. With an angle grinder and a sanding disc we sanded down all the extending edges over the hub. 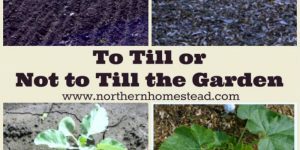 This is important so the greenhouse plastic would not get damaged. Do not forget to touch up any exposed wood with the wood treatment. This time we choose to cover the dome with shrink plastic. It was a bit more pricey but I thought having an all in one cover would be really nice. Unfortunately the shrinking process makes the plastic more opaque and less translucent. So after trying it, we decided not to shrink the plastic but cut it to fit and hold it in place with extra planks as we did in our first dome. 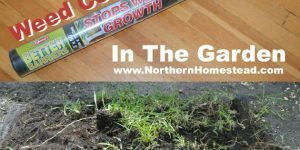 Based on this experience we would not recommend a shrink plastic for a greenhouse dome. 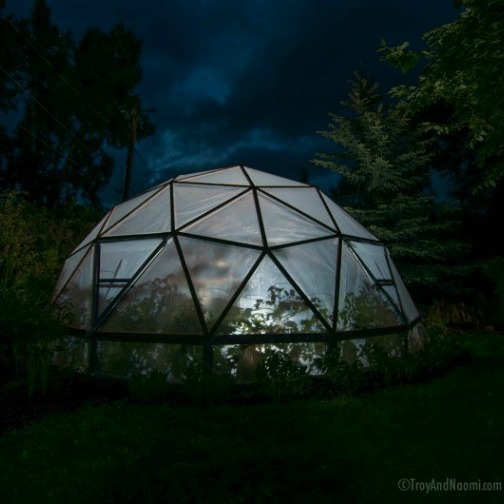 Read more about covering a geodesic dome greenhouse here. 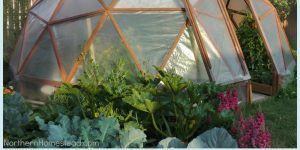 Hope you find this how to build a geodesic dome greenhouse version 2 helpful and we would love to hear from you if you build one. Like I said above, version 3 is coming. 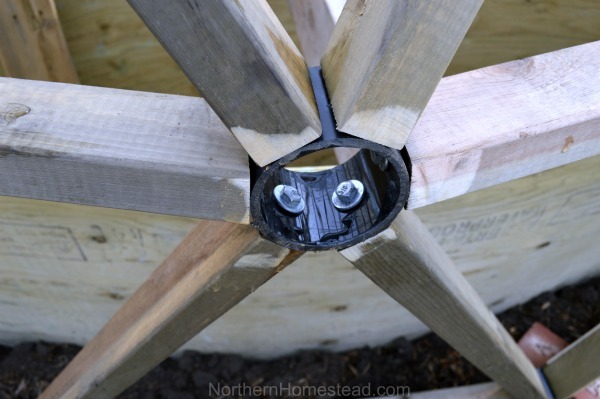 It won’t be an all DIY plan as it will eliminate all complicated cuts as you will only need to cut the struts to length at a right angle of 90°. Stay tuned if that is what you are looking for. 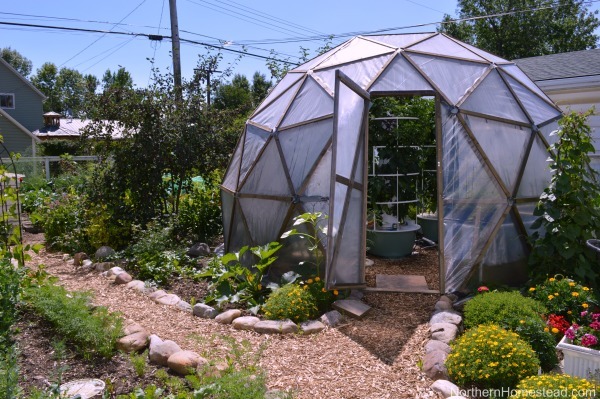 We love our geodesic dome greenhouse and would build one again and again. The round structure just makes sense with optimum light absorption, and stability in storm and snow. 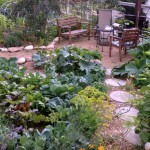 Your model greenhouse has been part of our dream in another cold climate. We’ll look forward to your Version 3 kit for next year. In the meantime, we’re drawing on your winter windowsill garden tips! 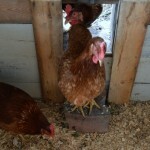 Hi, I noticed that with all your posts, you left out the length of the wood struts. Acidome doesn’t give me a length or they don’t work. My green house is 35 cm in diameter and I chose 3V, 7/12 of sphere, and left everything else default. The website says the struts should be like 14 cm but that doesn’t work. I can’t work off of angles alone because of the nature of my project. Is there a unit or formula I am missing? Hi, Love the greenhouse! Please explain how you manage to screw inside the small pipe pieces. A regular screwdriver won’t fit inside an an angle well enough to grab and push the screw in. I’m mystified how you did it. the screws are 1-1/2″ lag bolts. In the 3″ pipe sections there is room for a box end wrench, ratcheting box end, ratchet and socket (depending on the profile) , and maybe even an air ratchet ( also depending on the profile) . When the 2″ screws (bolts) are used at least the first two are still valid. 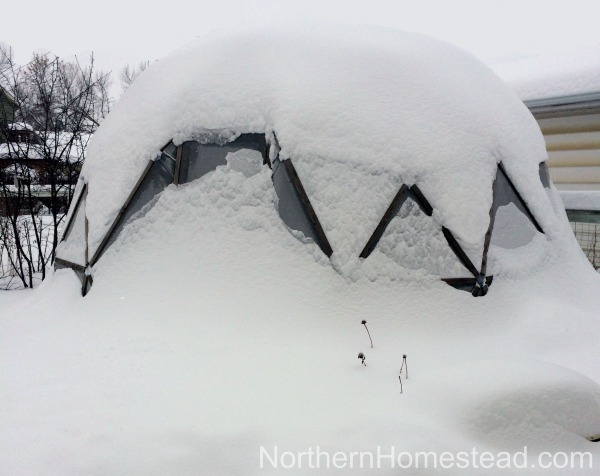 How did dome 1 fail under the snow load? Im assuming the failure was at a joint, hence dome 2’s revised joint style. Was the failing joint near the top of the dome? or bottom or somewhere in between? Was it anywhere near the door? Did the deck screws at the joints fail? Or did one of these pull out or split out of the side of one of the spars? Did one of the wedge-shaped spar ends get driven through the joint like a stake? Im considering a build using the dome 1 style of cone joints and that is why Im curious. Oddly the complexity of the joint preps is what attracts me to this method. 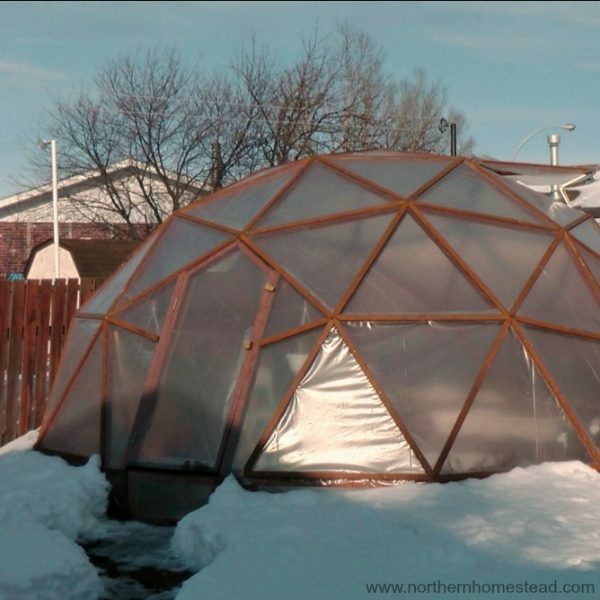 Our dome 1 has never failed, it’s only that some people would mention that their dome had collapsed under the snow load. We don’t have any details neither on the structure nor on the point of failure. 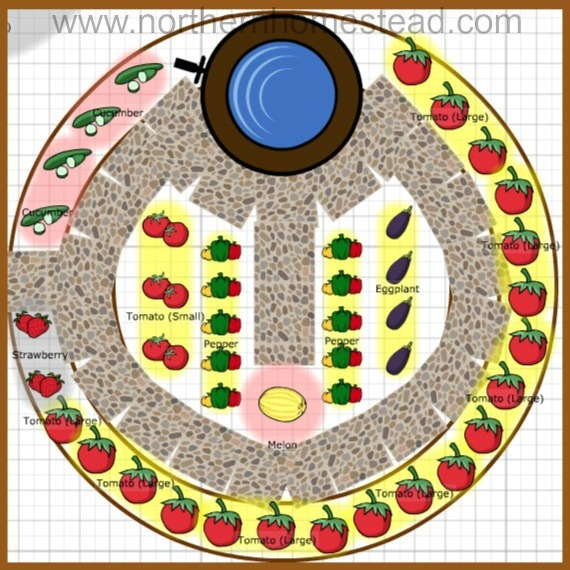 I came across your plans for the Geodome greenhouse and am so excited to get started on this project with my husband as our first major project in our first home. I am completely new to woodworking and had just a few questions if you would be so gracious as to answer them I would greatly appreciate it. The first was my newbie confusion on just how long I will be measuring my struts and I’m totally lost. I noticed there are two different numbers, in the section under ‘edges’ for A it shows a length of 867mm with 16mm on either sides to make up the 83.2 degree angle. However in the next section labelled ‘faces’ for A it shows 944mm with a 83.2 degree angle that is a difference of 77mm. Is this because the section labelled ‘faces’ is taking into account the addition of the Vertices or am I completely missing something. The second question was wether or not you believe I would still require a heating and cooling system with the water tank method in a hardiness climate of 7, I’m from Vancouver Island on the west coast so far from the chilly temperature you Northern Albertans have to deal with just curious if this step would still be necessary in a significantly milder temperature. 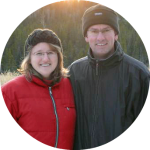 Thank you so much for creating an amazing website with such great insite and help it is so appreciated and inspiring. 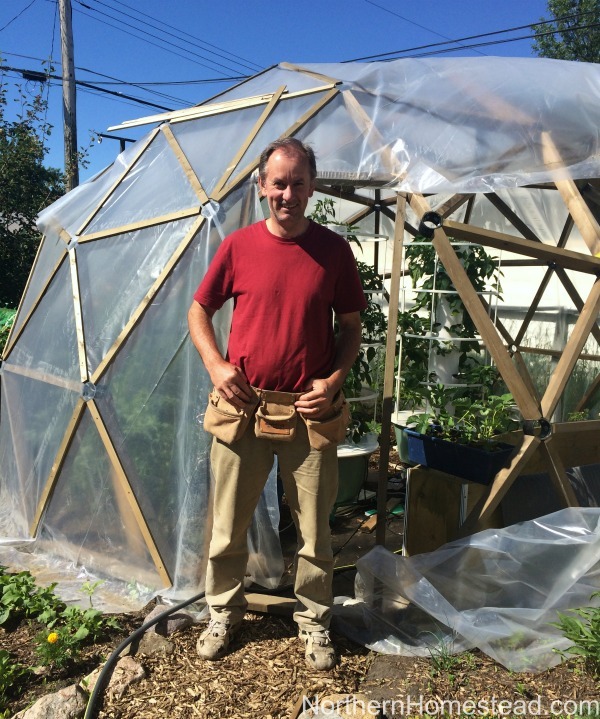 It is very exciting to build this beautiful dome-shaped structure! You already answered your first question. It is absolutely correct, the pipe diameter is 76mm and the ‘faces’ section is taking it into account. Sorry for the confusion. In your climate, you might not need the heating and cooling system to keep the dome temperatures in the winter above freezing. 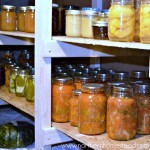 And in the summer you would certainly require good ventilation so it would not overheat on hot sunny days. It would still be worthwhile to have a small water tank above ground for thermal mass. It’s also convenient to have warm water for the plants. Thank you for the kind words. It’s very encouraging and much appreciated. I was wondering if and when the v3 of less involved assembly version will be around? I’m considering building one here in Norway during the spring/summer. 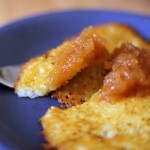 Thank you for this fantasic informative blog! We are working to have the kit available by the summer of 2019. Amazing work! What sort of foundation did you use for this? We did not use any foundation, just placed the dome on top of garden soil. Since the dome is round it does not go anywhere. However, you can build whatever foundation fits your needs. 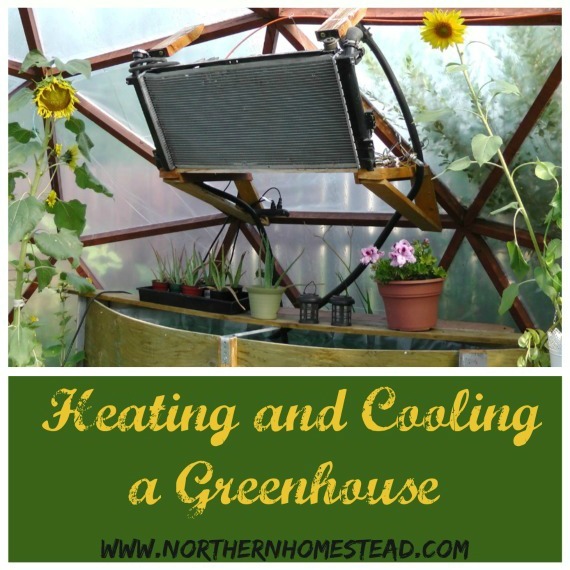 I just stumbled upon this as I was researching greenhouses. I live in a area with a lot of open area so wind is a issue. What kind of wind speed have you seen them withstand? It’s not uncommon to have 70 or 80 mph wind speeds around where I am at. Thank you. Yes, we do get that kind of wind here too. However, our dome is in a sheltered location. We have not secured our dome to the ground at all and it has not budged. If you are in open, you might consider securing the structure. Also, we build our door the way that it is integrated into the structure, no corners for the wind to grab. The whole dome is round and the wind just goes around and above. Do you have any snow load calculations for this style of joint? Ever thought of using aluminum pipe instead of the black PVC? How much strength does the black PVC lose in the cold? Aluminum is not readily available to most people, so it wasn’t an option. We don’t have snow load calculations, but if you happen to come across this kind of information, we’d like to hear from you. Cheers! Is there anyway you can give a more detailed explanation of the Acidome software? I’m trying to use it but I’m kind of confused about some of the edges calculations and don’t want to waste hundreds of dollars worth of lumber. 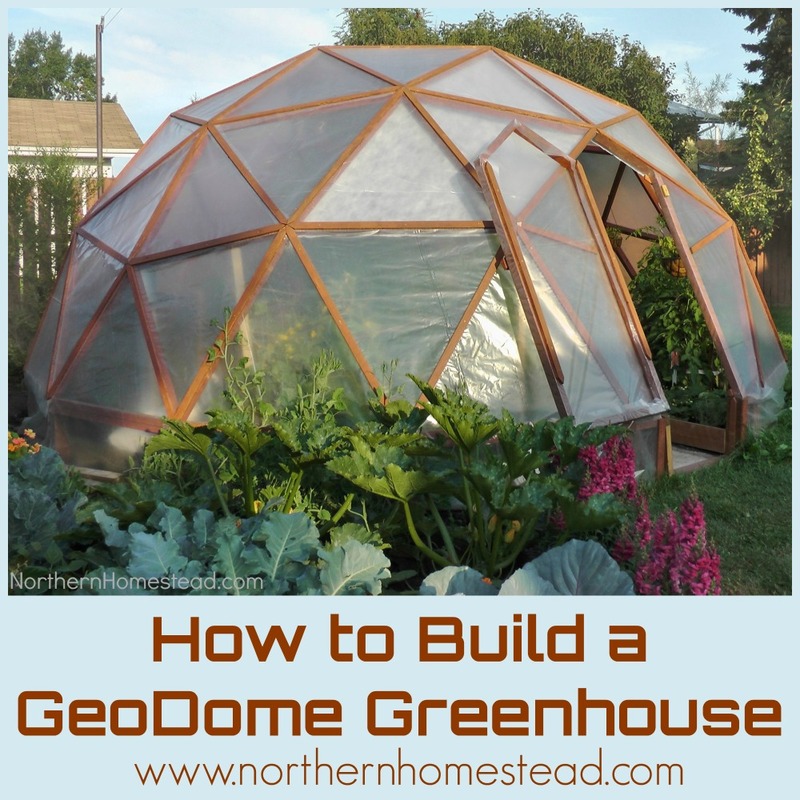 Please read the first post with all the comments about building the GeoDome.